Magnificent find! 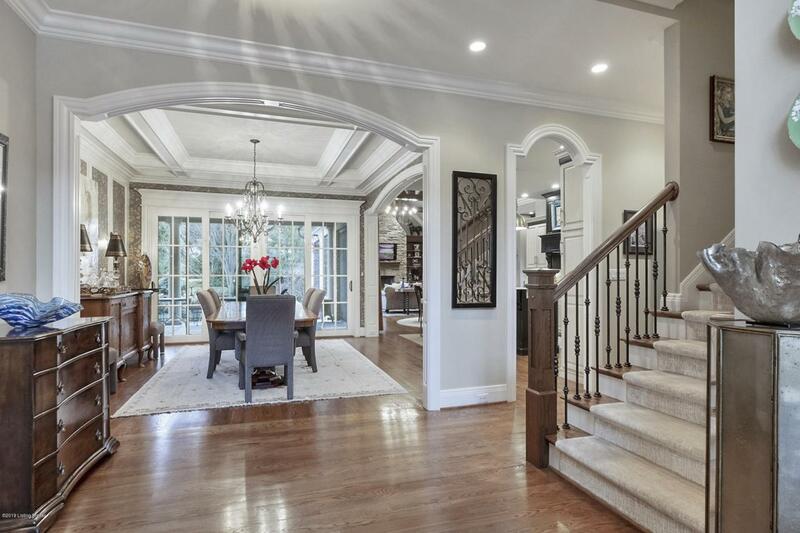 This gorgeous builder's personal home will impress from the moment you arrive. 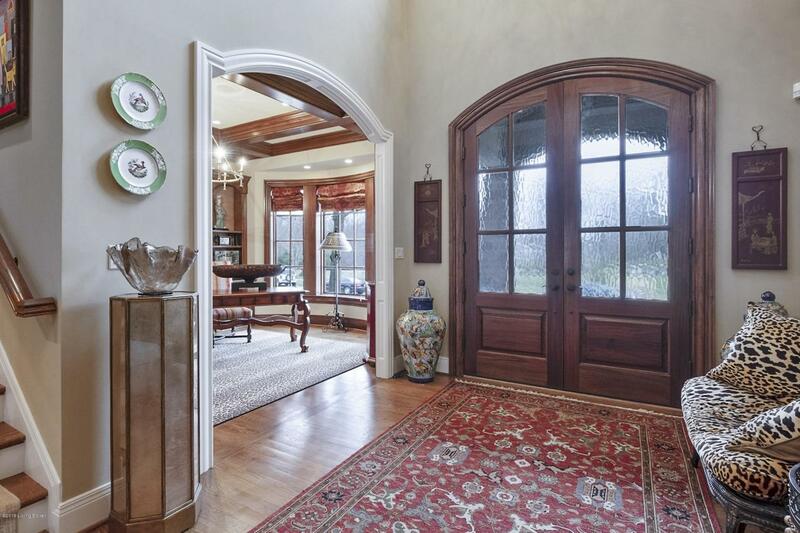 Grand entry that leads you to the domed two-story foyer. 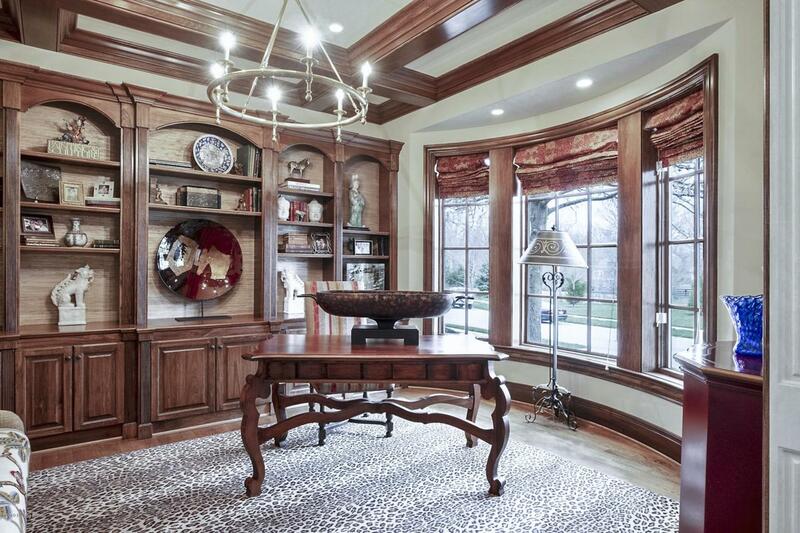 Study with coffered ceilings and custom built-ins. First floor boasts elegant hardwood flooring. Formal dining room. Extravagant kitchen with granite countertops, subzero refrigerator, gas cooktop, double oven, and oversized breakfast bar with seating area. Adjacent butler's pantry with mini fridge, sink, and an additional dishwasher. Cozy office nook just off the kitchen. Aesthetically pleasing exposed wood beams adds visual complexity and rustic charm to the vaulted great room. Floor to ceiling stone fireplace.Powder room. First floor master suite featuring jetted tub with barrel ceiling, shower with jets, double vanity plus make-up area, and his/her custom closets. Convenient 1st floor laundry with custom cabinets. Upstairs you'll find that all 3 of the bedrooms have private en suites. Bonus loft seating area. An additional laundry room rounds out the upstairs. The finished lower level is perfectly equipped with a theater room, billiards area, a 2nd fully equipped kitchen, and a full bath. The other rooms here could be used as an exercise room, a sewing/craft room, or an office. The wine room completes the lower level. Other "bells and whistles" include security system, quartz countertops in bathrooms, central vacuum, surround sound system, lots of walk-in closets, and an irrigation system. Out back, there is plenty of room for entertaining under the covered patio areas. The portico leads to the 1 car garage or choose to enter the home from the attached 2 car garage. Cobblestone motor court between the 2 garages. Circular drive. Designed with the privacy you desire while located conveniently in the heart of everything Prospect has to offer. Simply a true classic that must be seen to appreciate all that it has to offer. This Prospect beauty in Spring Farm Glen is conveniently located just off Wolf Pen Branch Road on a private cul-de-sac. Check out the virtual tour and walk through the home by simply using your arrow keys and mouse...Simply click the 3D tour and directions will be provided. Call today for your private viewing of this spectacular home!